Brief Synopsis – When terrorists take over the President’s plane, the only person that can stop them is the President himself. My Take on it – When one thinks of an action hero, Harrison Ford is usually not the first name to come to mind. In this movie he gives one of his best performances because he is so believable as both the President and a John McLane type of character (excluding any Han Solo or Indiana Jones appearances. Gary Oldman is a great villain who is smart and vicious at the same time. Loved how much patriotism is injected into the story and characters. This is emphasized by the amazing musical score by Jerry Goldsmith. 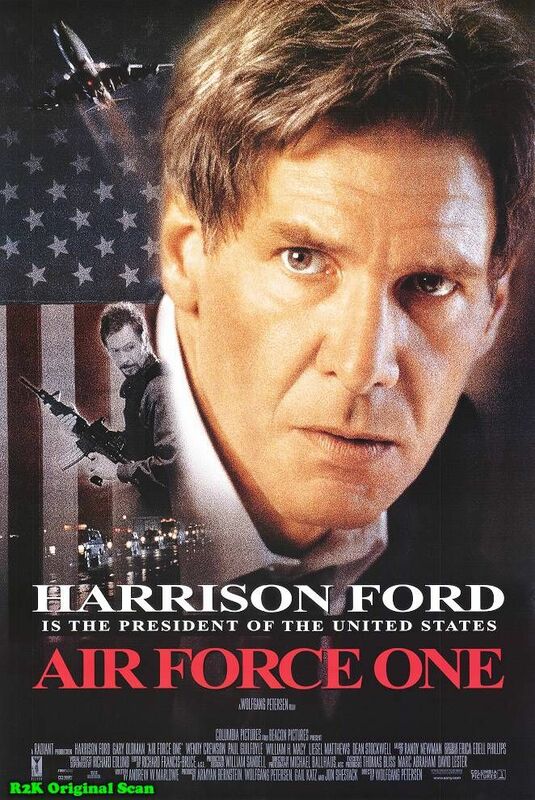 Ford wasn’t the first choice for the role (Costner was), but I can’t imagine anyone else portraying President James Marshall. Bottom Line – Great Ford action flick that is almost as good as Die Hard (1988). As always, Oldman is an amazing and menacing villain. Very patriotic message that is emphasized by the great musical score. Can’t imagine anyone else doing as great a job as Ford did. Highly recommended!